Coming from a signed series of 50 linocuts, 'Femme au Chapeau' is dated 1962. 'Femme au Chapeau' sees Picasso approach one of his preferred themes, the human figure, and in particular the female portrait. 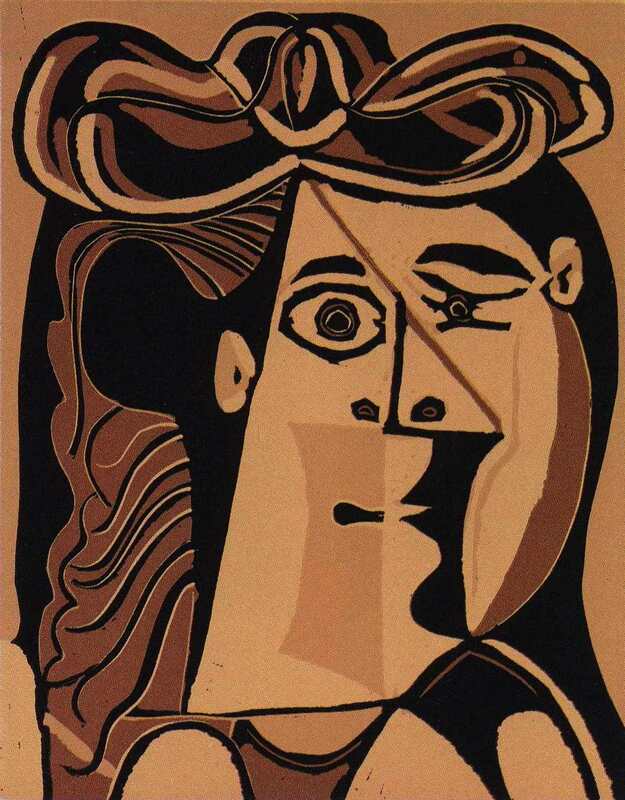 The face of the woman is depicted following the Cubist style, and therefore presents various viewpoints.